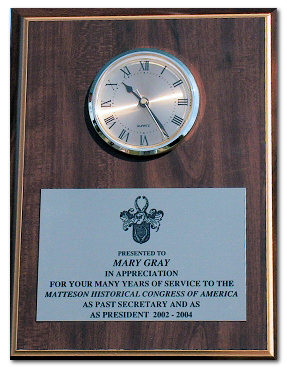 Mary was a driving force behind The Matteson Historical Congress of America Inc. for many years, serving as President and as Secretary. She was born in Scituate, RI on December 2, 1923 and was the daughter of George and Helen (Hopkins) Matteson and the wife of Bernard Gray and Cyprien R. St. Amand. 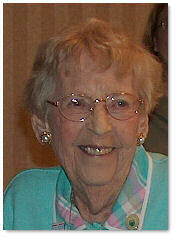 Mary passed away on August 29, 2007 at the age of 83. Mary served as a Teacher in the Coventry Public School System for 25 years. She was a Girl Scout Leader for 15 years, and was honored by Kent Hospital with the Service to Humanity Award for her volunteer work. She was also the director of a Catholic Girls Camp in Poland Springs, Maine for 10 years. A Navy Chief Yeoman, during WWII, Mary remained active in the State and National WAVE Veteran units.